Commonly found at a variety of habitats including forested wetlands. 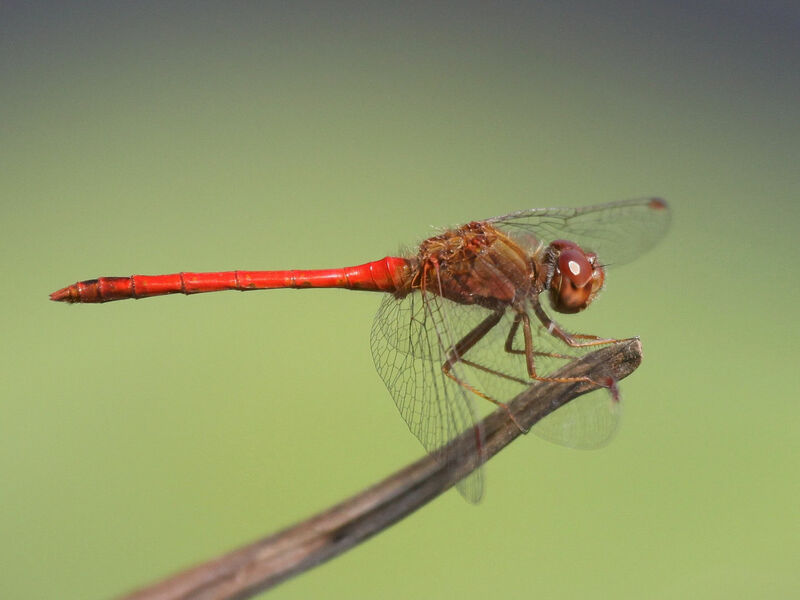 They are a small, pretty dragonfly with a red thorax and abdomen, yellowish legs, and clear wings. They are usually the last dragonfly seen each year with a flight season that begins in July and which can extend to mid-November if there aren’t heavy frosts. 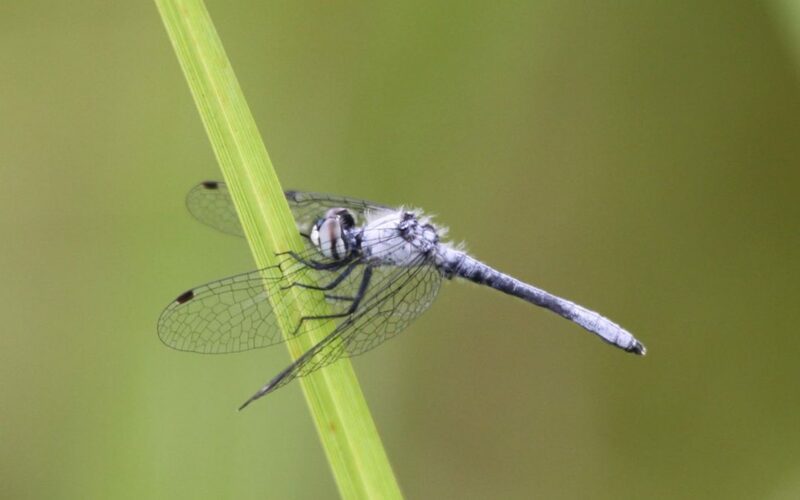 This bog specialist is North America’s smallest dragonfly. Individuals are only ¾ of an inch long and are easily overlooked. They are so tiny that they can be harassed and forced to flee by even small damselflies. They fly from mid-June to the early August. Found in alder and shrub thickets adjacent to slow streams through bogs and marshes. The Kennedy’s emerald is one of the striped emeralds of the genus Somatochlora. 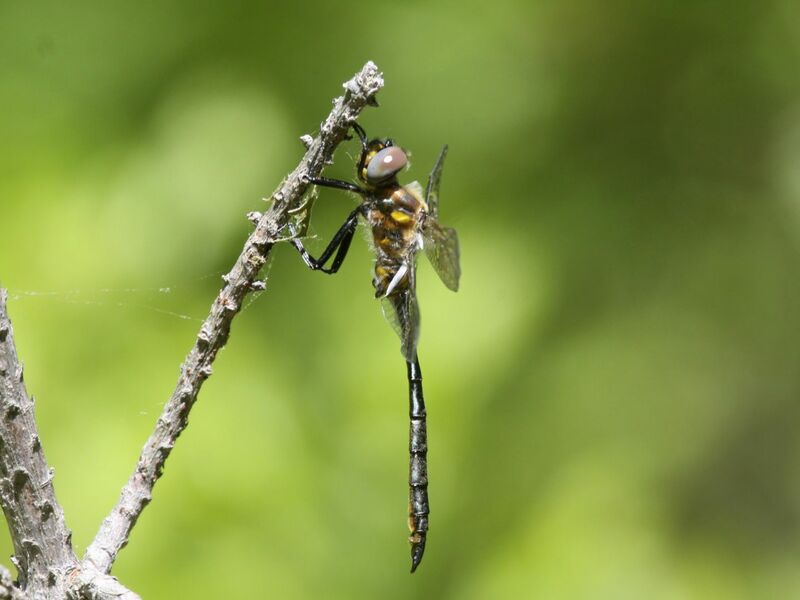 This genus is made up of the some of the rarest dragonflies found in Wisconsin. 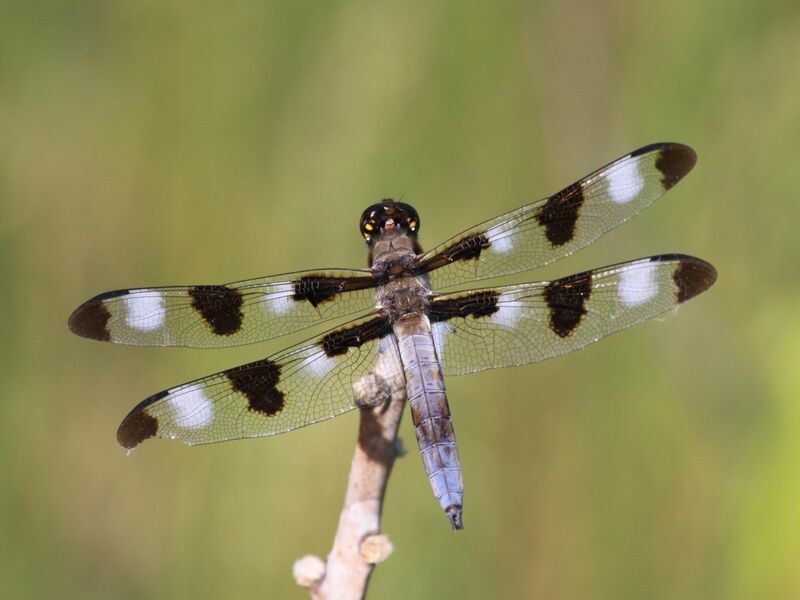 Like other members of the genus, Kennedy’s emerald dragonflies are a dark chocolate brown and mature males have beautiful, emerald-green eyes. Found in fens with abundant submerged sphagnum. Until 1998, they were only known from a few wetlands in New England. Then they were discovered in fens in central Wisconsin and later in the Upper Peninsula of Michigan. 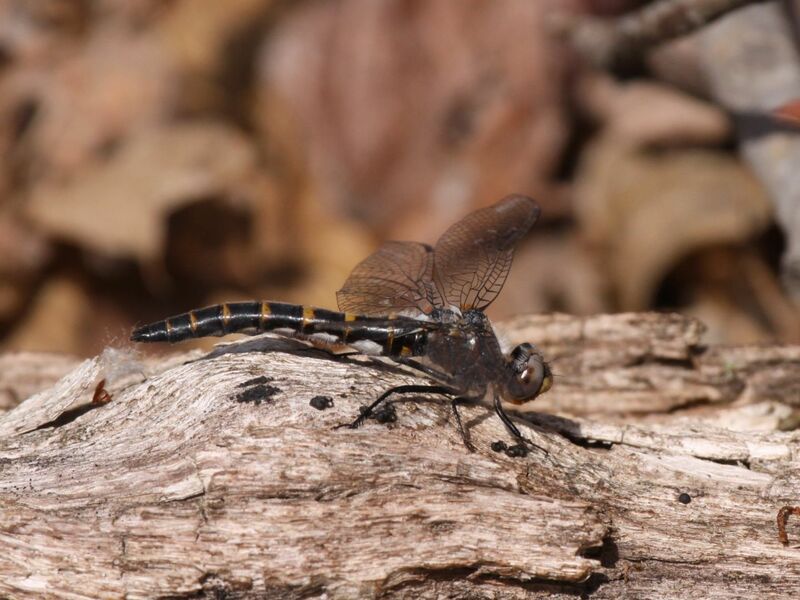 They are amongst the earliest of Wisconsin resident dragonflies to emerge and typically start flying in mid-May. Found in sedge meadows and other wetlands. 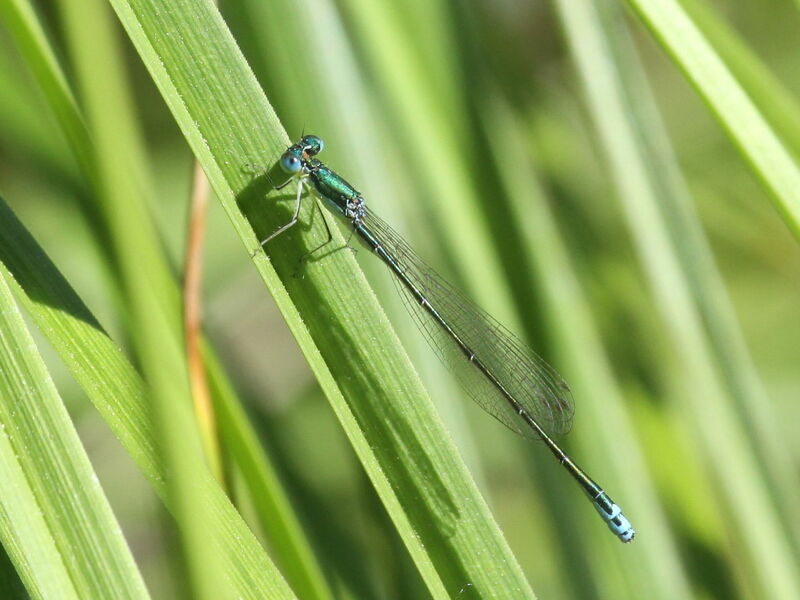 The sedge sprite is one of Wisconsin’s smallest damselflies and is a beautiful metallic, emerald green. The male has distinctive blue markings on the tip of the abdomen. They often fly low in vegetation. Commonly found at ponds, lakes, and marshes. 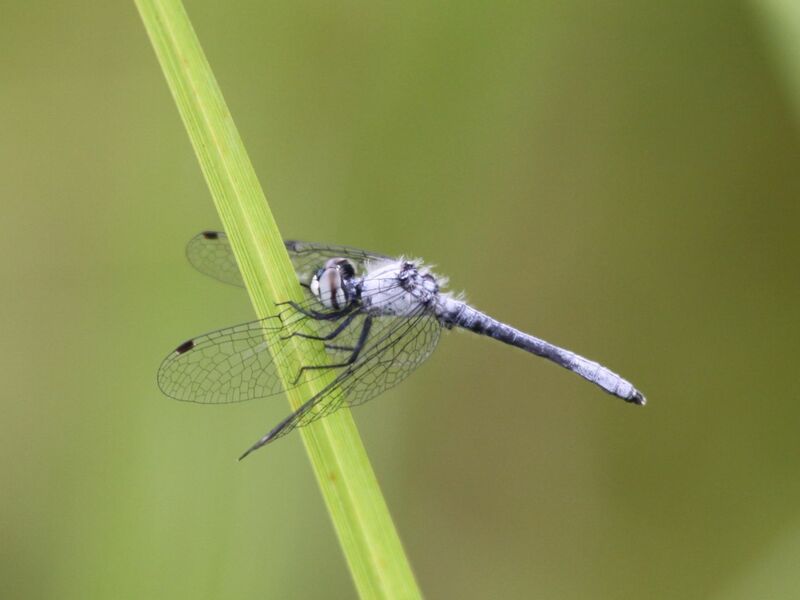 This is one of the most distinctive dragonflies found in Wisconsin with three black spots on each wing (mature males have white spots on the wings as well). When not patrolling, the males land on conspicuous perches near open water and will often return to the same perch if flushed.